Hello, how are you? My name is lisa Jaster, I saw brief about you on the internet today when i was searching for a good and honest person then i decided to contact you, I want to share something very important with you, contact me back so that i will tell you more about myself and send my photos to you. Thanks and have a nice day. Thank you so much for your reply to my message, How is life over there, hope you and your family are fine, I'm fine over here in (Iraq) Sorry for contacting you without your permission but I hope we can Establish a good relationship Since we are meeting for the first time. I want to use this opportunity to tell you about me, My name is Sgt. 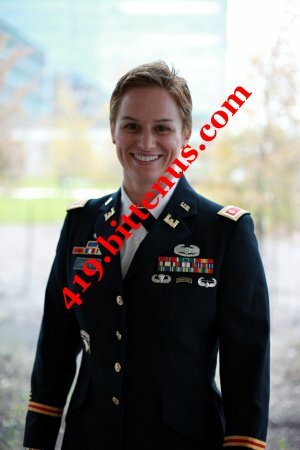 Lisa Jaster, 36 years and a single mother, a United States Citizen and a Military Branch of Army, I'm from Charlotte, North Carolina considers Portland Oregon, I Graduated from Park rose Senior High School, Portland Oregon, Currently Stationed in ( Iraq) on war against Terrorism here in Iraq. About me, I have a good heart, I'm very sincere and down to earth. I have a loving heart and I'm very respectful and kind Woman, I have lots of love to give, my own Religious is Catholic christian, I never judge others and I'm very compassionate, i love to appreciate the little things in life and I'm very respectful. Dear, i have my reasons of contacting you as i have something very important to share with you in my next mail. I wish to start a very strong relationship with you and my relationship with you will bring lots of great changes in our lives.I want you to understand that a good relationship dose not count distance and age, maybe we can start as friends or go into business partner with my funds which i need to invest with your urgent assistance. Dear, What do you do for a living to overcome economical expenses and to sustain your life and family? i know we are just knowing each other but we can share ideas and discuss about important things and more issues as we talk about ourselves, I like to think positively and I care about other people's feelings. I will be very happy to know more about you, like your hobbies, Interest, Life style, Religious believe, i will also love to see your pictures, like i always says i have very very important issue to share and discuss with you in my next mail so that you will give me an advise and solution about it, Let me stop here for now, i expect an urgent respond from you soon.